Aquaprase does not require any treatments, as it is very stable. Aquaprase (also known as blue chalcedony) is a brand-new gemstone that opens up a world of possibilities for designers and jewellers alike. Its colour can be a deep lagoon turquoise in the blue-green spectrum. The stone itself is translucent to opaque and offers a vast range of different patterns to make designs interesting. It also has a good hardness of 7 to 7.5 on the Mohs scale and comes from the quartz family (as do stones like amethyst, citrine, and onyx). 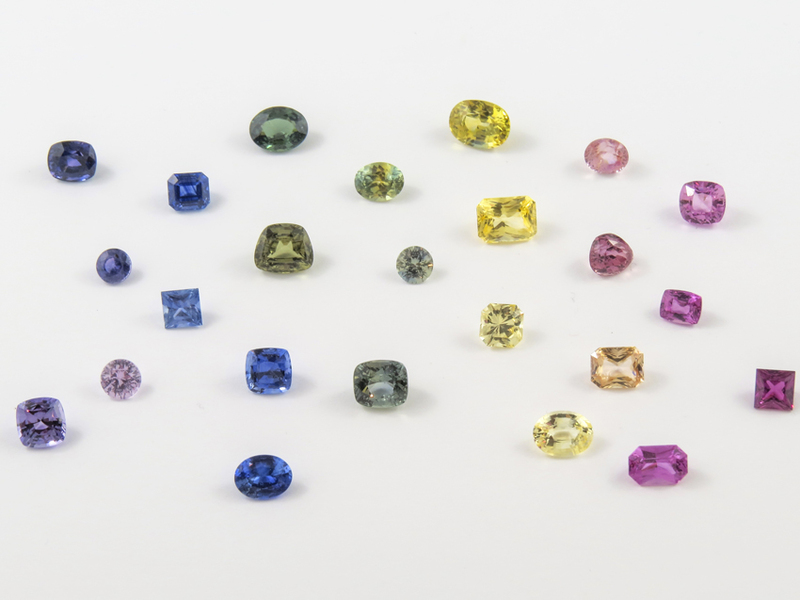 At the moment, most jewellers are working with gemstones first discovered long before their births, such as rubies, sapphires, tourmalines, and turquoise. This new gem is the perfect opportunity to offer a fresh start and a unique idea to clients and designers alike. 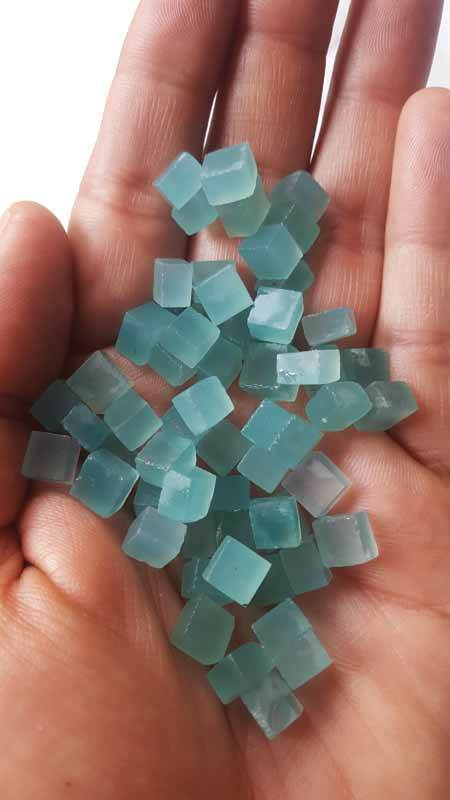 One of the most distinct features of blue chalcedony is its colour. As it comes from the quartz family, the two closest gemstones it can be compared to are chrysocolla (turquoise in colour with a forest to light green shade when associated with malachite) and chrysoprase (yellow-green). Compared to those two, the colour of aquaprase is more pleasing to the eye and is already a favourite of those who have worked with it. 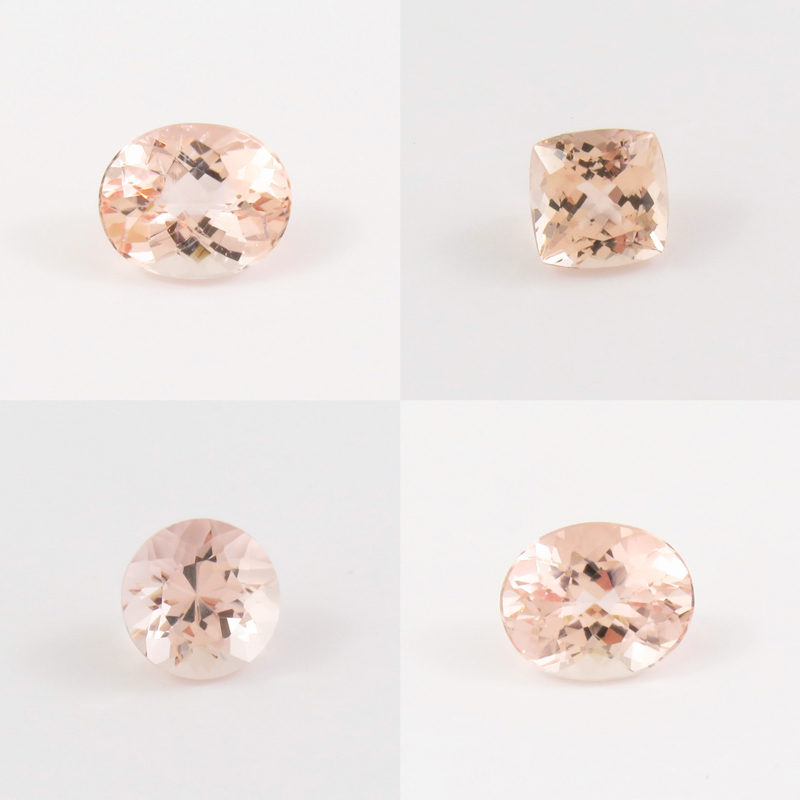 From a gemmological point of view, aquaprase contains unusual amounts of moganite (not to be confused with the peach-coloured gem, morganite). 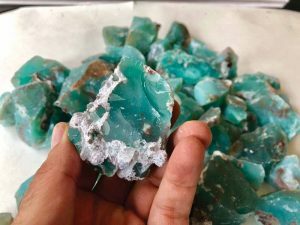 It has the same chemical composition as quartz, but with a different type of crystallization in the growth of the gemstone. 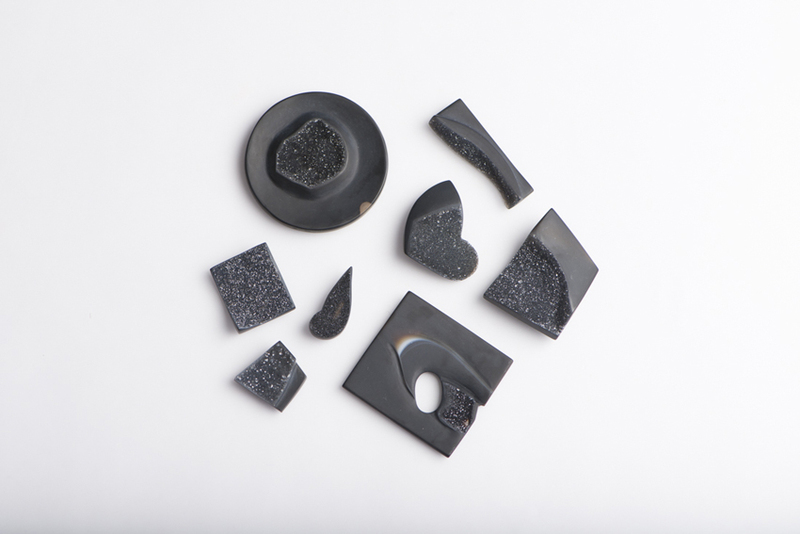 (Research was conducted to distinguish moganite from quartz in 1994, but the two gemstones had so few differences, the research team decided moganite should be a quartz. Ergo, aquaprase is in the quartz family.) 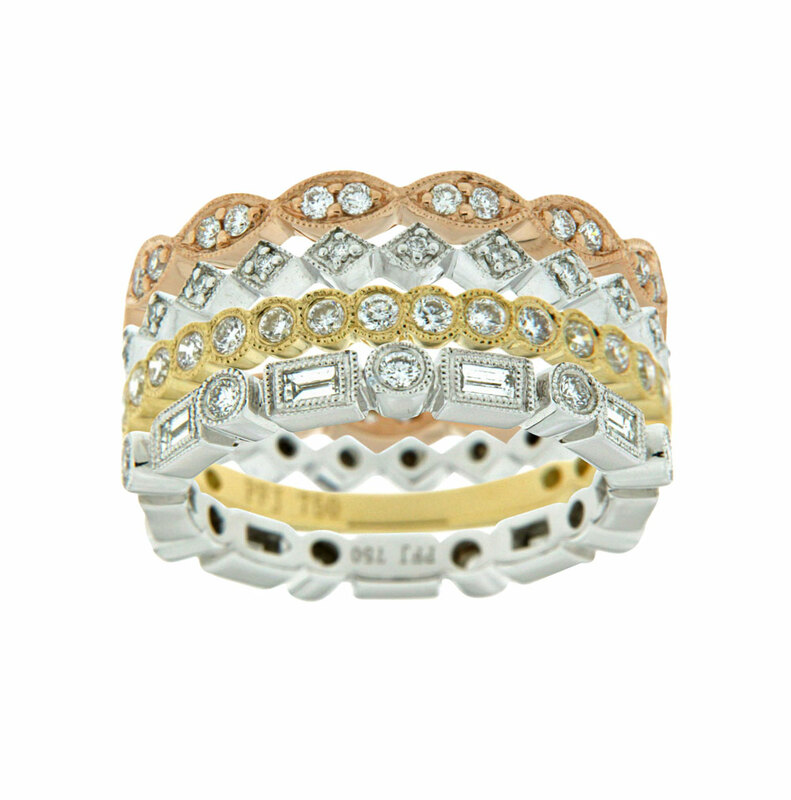 The gemstone was discovered somewhere in Africa, with the exact location remaining a secret for the moment. 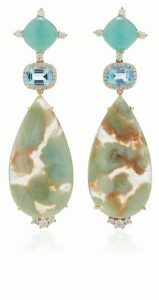 This new gem has a distinct lagoon turquoise colour that is pleasing to the eye. As for the components causing the colour, aquaprase is composed of minerals including chromium, nickel, and iron. 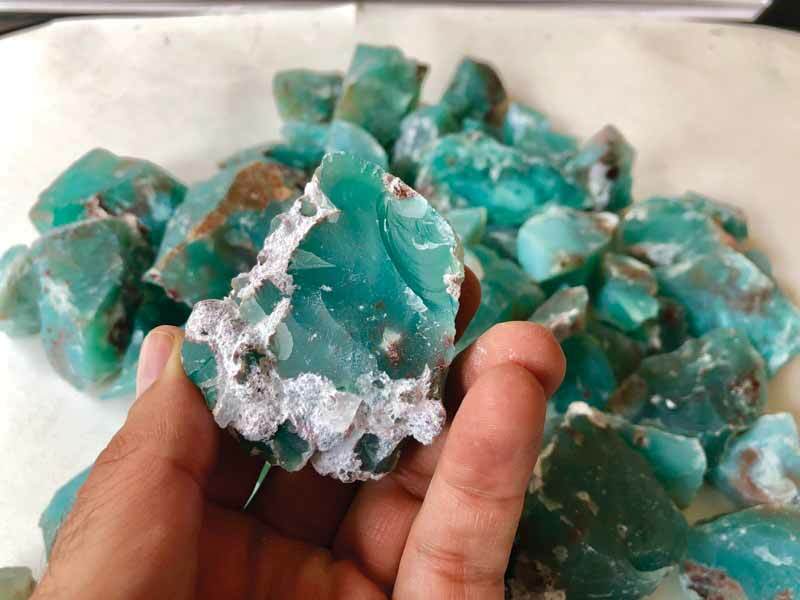 It contains far more minerals than its sisters—the colour in chrysocolla is caused by copper, and nickel gives chrysoprase its colour.